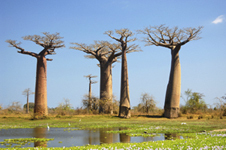 Small group accommodated tour through Madagascar, explore Madagascar's amazing Masoala on this tour! Note: Not recommended for children under 12 years nor travellers with health problems. 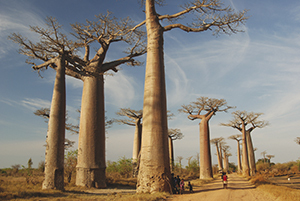 8-Day Private Lodge tour and camping tour through the east of Madagascar. Antananarivo, Masoala Peninsula and National Park, Antongil Bay, Nosy Mangabe reserve, Betsimisaraka tombs. 7x Breakfast, 4x Lunch, 3x Dinner. On arrival in Antananarivo you will be met at the airport and transferred to your hotel, where you can simply relax or go out and discover Antananarivo, the picturesque capital of Madagascar. With its bustling markets, friendly people and ancient town on a hill with freestone churches and ancient royal places, it is unique among the world's other capitals. 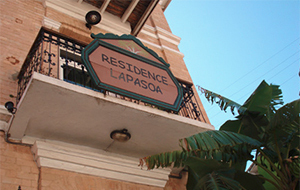 Overnight: Residence Lapasoa, or similar. Today you will be transferred to the airport for your flight to Maroantsetra. You will be met at the airport and a transfer will take you to your hotel. Maroantsetra is a charming town situated at the bottom of the Antongil Bay, in a beautiful riverine scenery where the scent of vanilla and cloves fills the air. Its surrounding area is lush and green, and is dotted with rice paddies and stands of coconut palm. Overnight: Coco Beach, or similar. You will be transferred to the port where you will board a boat for Masoala. The Masoala Peninsula is the site of a 230,000 ha national park containing one of the best rainforests in the country and the largest protected area (terrestrial and marine) in Madagascar. 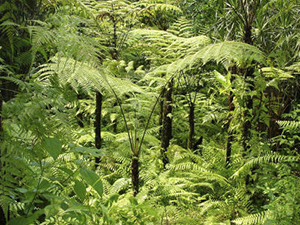 After our arrival we will go on a 3 hour walk in the primary forest to see reptiles, birds, lemurs and orchids as well as rare and unique species such as the green lizard, the red owl, the tomato frog or the serpent eagle. You will even have the opportunity to relax and swim in the refreshing cool water of a river. To round off the day we will have a barbeque party at night. Overnight: Ecolodge Tampolo Lodge, or similar - on full board basis. We will start our day with a 3-hour bird watching excursion followed by a visit to a typical village with plantations of vanilla, cloves and coffee. 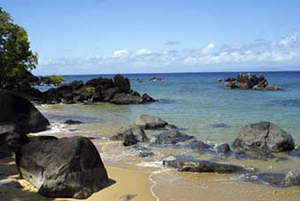 Masoala Peninsula is one of Madagascar's premier trekking and hiking areas. It also offers excellent opportunities for sea kayaking and snorkelling - a simple mask is enough to admire the colourful marine world. 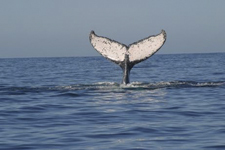 Between July and September you will also have the chance to see the majestic humpback whale in the Bay of Antongil. Today, you can go snorkelling in the Marine reserve , in front of Tampolo. 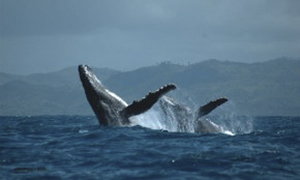 Between July and September you will have the chance to see the majestic humpback whale in the Bay of Antongil. Boat transfer to Nosy Mangabe, a scenic island with a variety of wildlife. 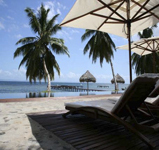 We will visit the reserve to admire its endemic flora and fauna. Later on you will have the exciting opportunity to see the Betsimisaraka tombs. The Betsimisaraka tribe is Madagascar's second largest ethnic group and inhabits most of the central and north-eastern coastal region. The name Betsimisaraka, which means "those who stand together", refers to the time when the tribe's confederation was forged from several smaller tribes in the early 18th century. In the afternoon, we will go on a 15 minute boat transfer back to Maroantsetra. After breakfast you will be transferred to the airport for your flight to Antananarivo, where a transfer will take you to your hotel in the city of Antananarivo, the picturesque capital of Madagascar. You can wander through the capital's steep and narrow streets, taking in its architecture, atmosphere and pace. Or you can climb up to the old rova (palace) and enjoy the views over Antananarivo and the surrounding countryside. The town is at its best in the evening when the setting sun spectacularly illuminates its hillsides. Today you will be transferred to the airport for your flight home, where your unforgettable tour ends. We look forward to welcoming you in Madagascar again very soon! Accommodation based on a BED & BREAKFAST basis in twin sharing room at midrange hotels, camping at Nosy Mangabe on a full board basis, all required camping equipment, all transfers and transport mentioned in the program, entrance fees in the park and reserve (Nosy Mangabe and Masoala), specialist guides in the park as per program, all excursions mentioned in the program, an English-speaking guide. All excursions not mentioned in the program, bottled water, soft drinks and alcoholic beverages, laundry, international flights, domestic flights to and from Maroantsetra, visas and travel insurance, all lunches and dinners (except those mentioned on days 3-5), personal items. Flights from/to Johannesburg and onto Maroantsetra can be arranged by Eyes on Africa. these using similar accommodation of the same or higher standards. The peninsula is one of the largest and most diverse areas of virgin rainforest in Madagascar, and it holds possibly the greatest number of unclassified species. Masoala can only be reached by boat, which takes approximately 2 hours from Maroantsetra, and the visit is only for avid nature-lovers with fitness and fortitude. Despite the difficult access, it is worth making the trip as the area holds stunning beaches, incredible wildlife, and beautiful scenery. 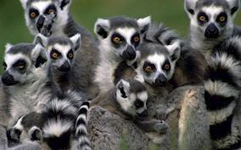 The island of Nosy Mangabe is bursting with wildlife, and is famous for its Aye- aye lemurs and the leaf-tailed gecko. The reserve has beautiful sandy coves, trees with huge buttress roots, and strangler figs.